Mr Rahman was killed on a busy street in Dhaka. Two of the suspected attackers, armed with meat cleavers, were caught near the scene. The suspects told police they had targeted Mr Rahman because of his anti-Islamic writing, a police official told the Associated Press news agency. Mr Rahman blogged under a pen-name, Kucchit Hasher Channa, or Ugly Duckling. According to the Dhaka Tribune newspaper, he had criticised irrational religious beliefs. Imran Sarker, the head of a network of activists and bloggers in Bangladesh, told AFP news agency that Mr Rahman was "a progressive free thinker". 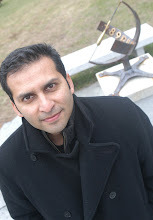 Asif Mohiuddin, a Bangladeshi blogger who survived an attack in 2013, said he had often talked to Mr Rahman about "criticising fundamentalist groups". "I liked him for his satire, his sense of humour. He was a wonderful blogger and I'm very... upset right now," he said. Last month's attack on Mr Roy prompted massive protests from students and social activists, who accused the authorities of failing to protect critics of religious bigotry. Lets hope the government steps in to curb these killings and that it doesn't turn into a systematic purge of secularists in Bangladesh. As shocking as Rahman's death was, the reaction from some quarters was equally disturbing. On his Facebook page (for which he picked a custom URL that translates to "unbeliever"), Rahman had posted a picture with the hashtag #IamAvijit. After his death, someone left a comment, "Now you are." Another wrote, "I felt sorry when I first learned of your death. But then I saw what you wrote and I am not." On his page, Rahman reposted a cartoon depicting Prophet Mohammed from the French satire magazine Charlie Hebdo. He wished a happy birthday to author Taslima Nasreen, who was forced to flee Bangladesh due to death threats from fundamentalists. And he "liked" a picture of sausages wrapped in crescent rolls that someone had captioned, "Pigs in burqas." Posts threatening him were numerous. "Get ready for the afterlife," one person commented on one of his posts. "See you in hell," said another. The irony is that the people who killed Rahman weren't even familiar with his writings; they were simply following orders, police said. Of the three involved in the Monday morning attack, two were quickly caught by bystanders. In confessions to police, the pair -- both students at Islamic schools -- said they didn't know what a blog was, nor had they seen Rahman's writing. They said they were acting on orders from another person who told them killing Rahman was a religious duty, Police Commissioner Biplob Kumar Sarkar told reporters. The third person is still to be apprehended. That appears to be par for the course in the killings of bloggers in Bangladesh. The only person arrested in the killing of Roy, the U.S. blogger, is Farabi Shafiur Rahman, who had called for his death in Facebook posts. There has been no conviction in the January 2013 attack on Mohiuddin. 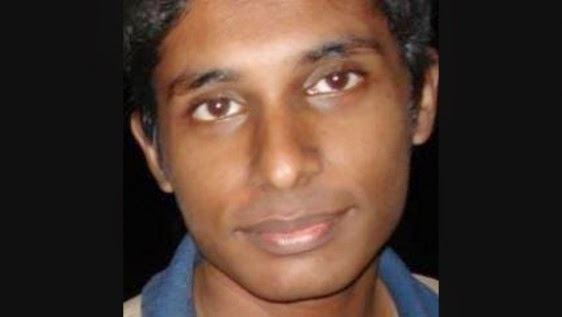 And no convictions in yet another case -- the hacking death of blogger Ahmed Rajib Haider, also in 2013. "The Bangladeshi government must urgently establish accountability in this murder case and others," the Committee to Project Journalists said after Rahman's death. "Otherwise the rest of the country's bloggers, commentators and journalists covering sensitive topics remain at grave risk of being attacked as well." Bloggers, unlike political parties, aren't an organized force -- and that makes them an easy target for radicals, said Imran Sarker, who heads the Blogger and Online Activists Network in Bangladesh. "They want peace, they talk of humanity. If you strike them with stones, they don't strike back. They try to reach you with flowers," he said. "So, if you want to sow fear and stifle progressive thought, they are easy to pick on." But the deaths -- of Rahman, of Roy, of Haider -- have emboldened the movement, rather than chill them into silence. "No one is cowering in their homes because this is happening. Because this has been happening regularly for a long time," he said. "We want to take the society forward. We know we have a lot left to accomplish."